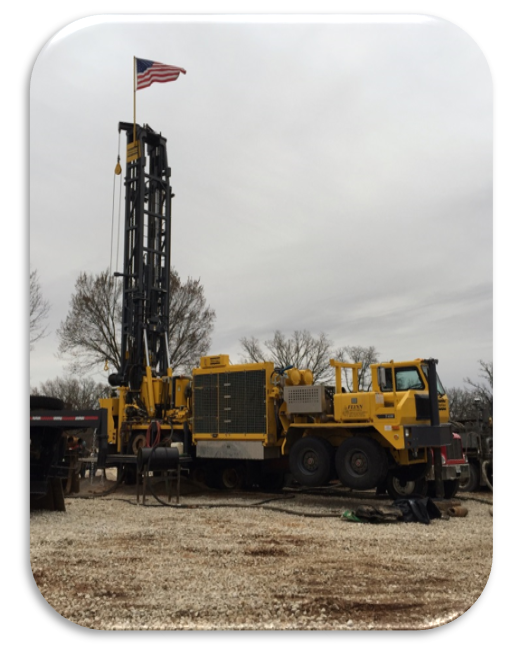 Taylor Engineering was selected by the City of Farmington, Missouri to prepare a Preliminary Engineering Report under the DNR’s Engineering Services Grant Program. The PER addressed all aspects of their water system plus it included the development of a full computerized model of their water system. The PER addressed issues with their water storage tanks, the condition of their wells and well houses, water quality and piping system. The City has used the model and the recommendations contained in our report to make several improvements to their system since the work was completed. This was the second preliminary engineering report we prepared for the Madison County PWSD #1 under DNR’s Engineering Services Grant Program. The first report was for the District’s North System. That PER was approved and the recommendations made in that report were developed into a project that was funded and constructed successfully and under budget. This new PER addressed the deficiencies in their South System. Recommendations have been made to construct a new water tank, rehabilitate an old water tank, construct a new well, install SCADA equipment and replace old water mains. We are currently narrowing down a new well location and hope to have the project ready for design within the year. A full model of both systems was also completed. The project consists of a new water line that will connect the north system to the south system, a new water storage tank to improve pressure, new booster pumping station, and multiple pressure reducing stations necessary to isolate an area of the north system that experiences excessive water pressures. We assisted the District in obtaining funding from USDA Rural Development and CDBG. The complete package consists of a combination of loan and grant funds in excess of 3.5 million dollars. 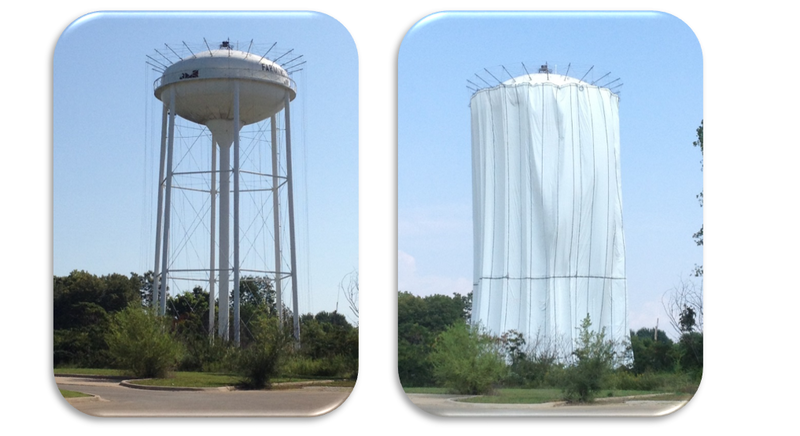 We began studying radionuclides and how best to remove them for the City of Farmington in 2003. We studied several different treatment techniques that were available at the time and even conducted pilot studies on most of them. We eventually came to the conclusion that the best possible solution for the City of Farmington was to remove the radionuclides using an absorption technology from Water Resources Technology, Inc. This technology essentially absorbs the radionuclides through an ion exchange process. No chemicals are required for treatment and there is no contaminated discharge that gets transferred to the City’s wastewater treatment system or the environment. The down side is that the media used for treatment must be changed out periodically and disposed of in a landfill site that accepts radioactive materials. 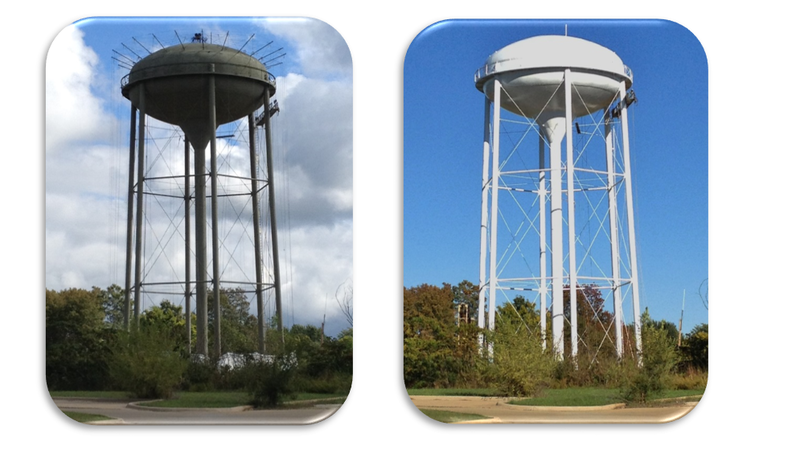 In 2010 we began the process of designing the WRT systems for 12 of the 13 City wells. The systems were installed at a cost of approximately $5,000,000 that was funded entirely by the City using funds from a sales tax that we assisted the City in passing. 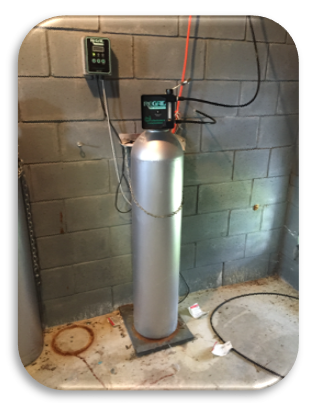 Since installation, the systems have been working as designed and are lowering the radionuclide levels to below the MDNR mandated maximum contaminate levels. 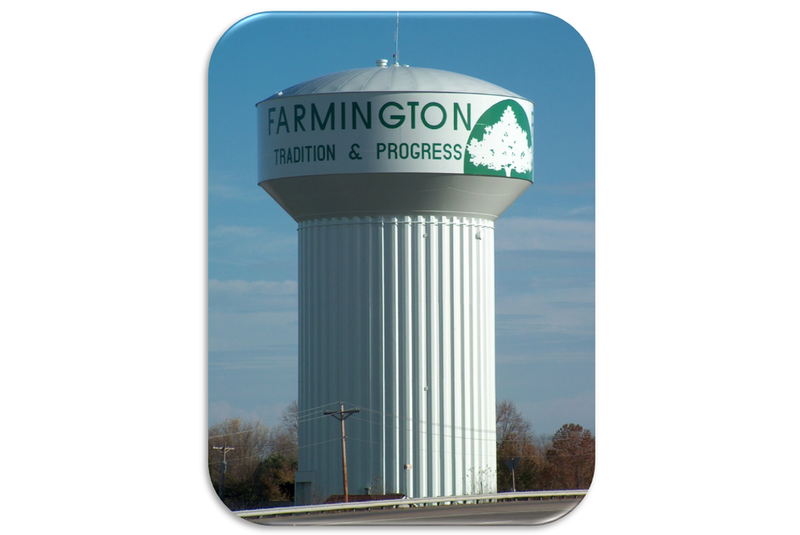 This project consisted of the complete rehabilitation of a 400,000 gallon elevated storage tank for the City of Farmington, Missouri. 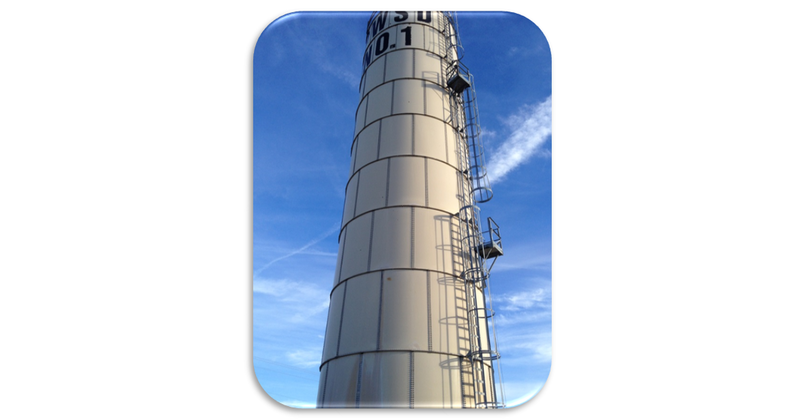 The project required full containment during blasting operations due to high lead levels in the paint. Once blasted, a coat of zinc primer was applied along with an intermediate coat and final coat that consisted of TNEMEC’s Hydroflon coating system which provides a 25 year gloss retention warranty. 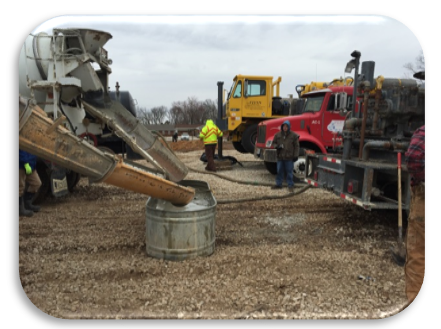 This project consisted of the construction of a new deep rock well, well house and gas chlorination for the City of Viburnum, MO. 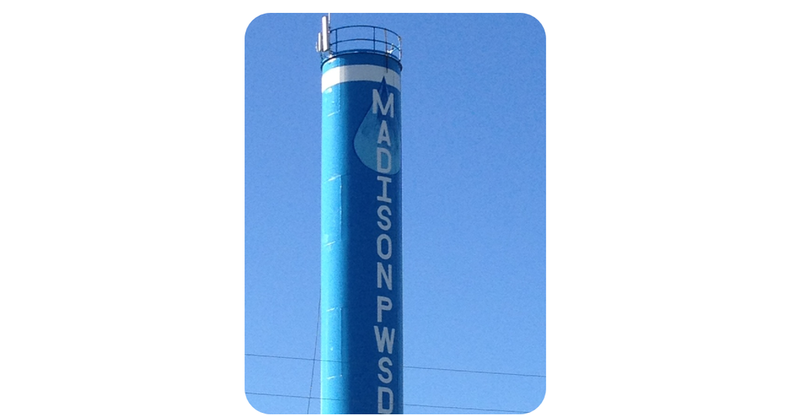 The 12” well was drilled to a depth of 1,250 feet with 861 feet of casing. 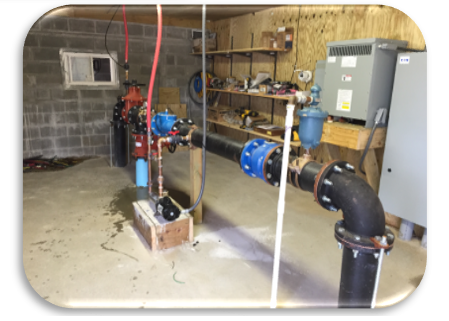 The well yield was determined to be 500 gallons per minute and a 13 stage 125 HP pump was installed. 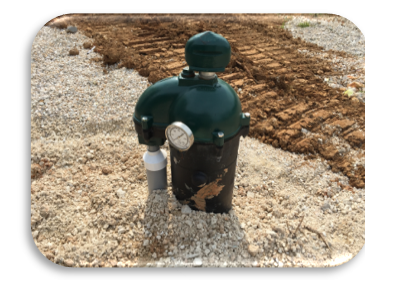 After the well was completed a 12” pitless unit was installed to allow easy access for future maintenance activities. Along with the well, a new well house that contained facilities for gas chlorination was also constructed.